You will NEED Administrator Privileges to run Universal USB Installer. 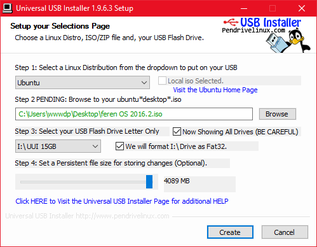 ﻿First of all download the '.iso' file of feren OS from our website and download an app called 'Universal USB Installer' to your machine you're using Windows for making a live USB stick for installing feren OS to any machine. Be patient whilst it extracts the .iso file to your USB drive as it might be a bit of a long time. ﻿First of all download the '.iso' file of feren OS from our website to your machine you're using Windows for making a live CD/DVD for installing feren OS to any machine. Be patient whilst it extracts the .iso file to your CD/DVD drive as it might be a bit of a long time. If you don't turn off Fast Startup, you WON'T be able to access your Windows hard drive from feren OS. ﻿Reboot your PC but this time, enter the BIOS Setup Screen rather than booting into Windows (if you don't know how to, Google or Bing or Yahoo, etc. how to boot into it) and look for an option called 'Secure Boot'. If you see it, all you have to do is turn it off but if you don't or its grayed out then look for an other option in BIOS setup with the option that is set to 'UEFI Boot' and set it to 'Legacy Boot', 'CSM Boot' or whatever the other option says on your PC's BIOS setup screen. Then go to the boot order options and either move USB drive boot to the first drive to try to boot from before the hard drive depending on the device you burnt the '.iso' file to. ﻿In the BIOS, press enter whilst highlighting Exit and Save Changes and make sure your USB/CD/DVD drive is inserted. 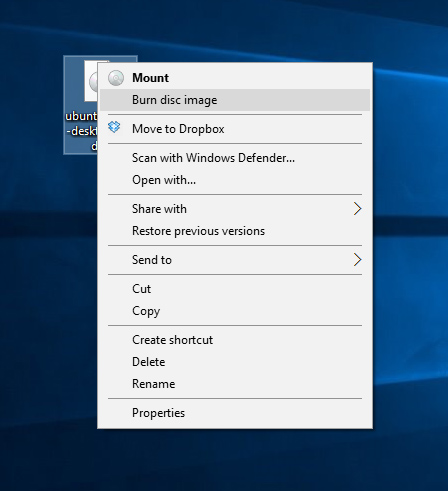 If you see as a result a screen with options including 'Start feren OS', choose the appropriate option in that screen for your PC and then enjoy the Live CD. WARNING: ALL DATA ON THE WINDOWS DRIVE WILL BE LOST AND IRRECOVERABLE USING THIS METHOD! BACK UP ALL IMPORTANT DATA FROM WINDOWS BEFORE ATTEMPTING TO DO THIS! i. Run 'Install feren OS' from the top-left corner of the desktop and a window like the one below should appear, click 'Continue'. ii. Once you've done that, you can tick on the checkbox that then appears if you want to (it installs some extra media codecs for the OS to use in some places) and then click 'Continue' again. iii. 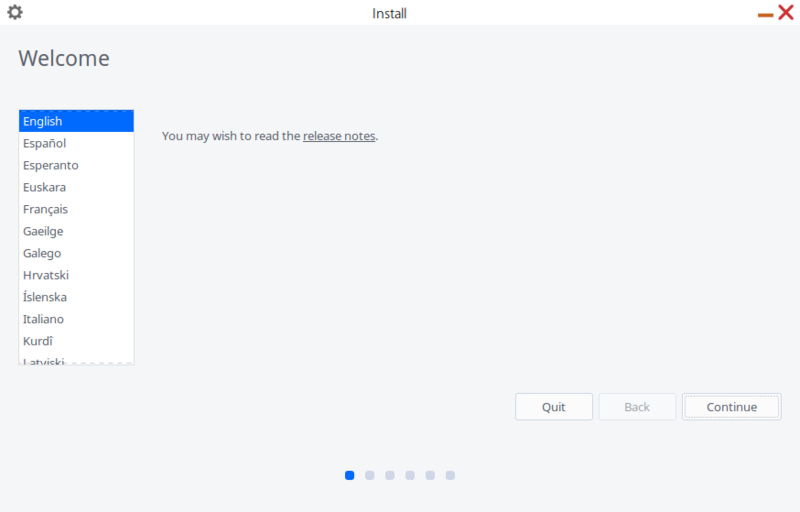 Once the next step appears, you'll get the choice on how to install feren OS, click on 'Erase Disk and Install feren OS', and hit 'Install Now'. When prompted due to the Installation Finishing, hit 'Restart Now', and enjoy feren OS!